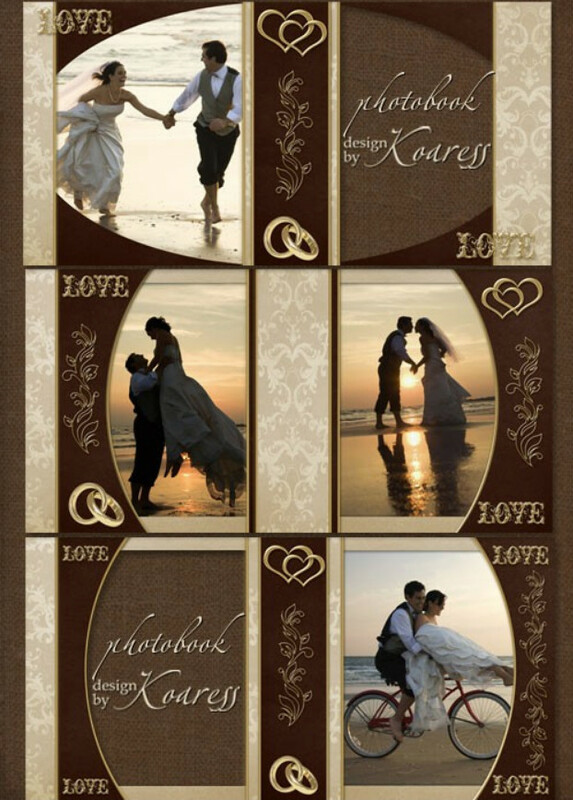 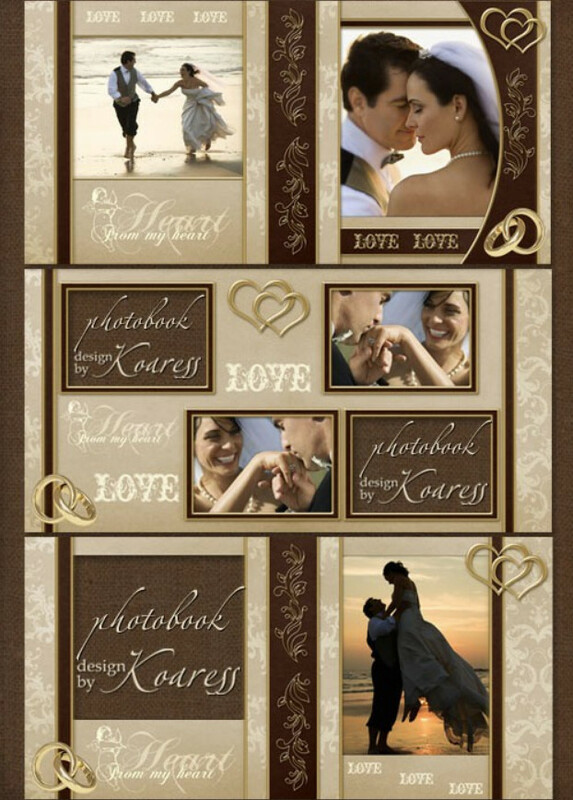 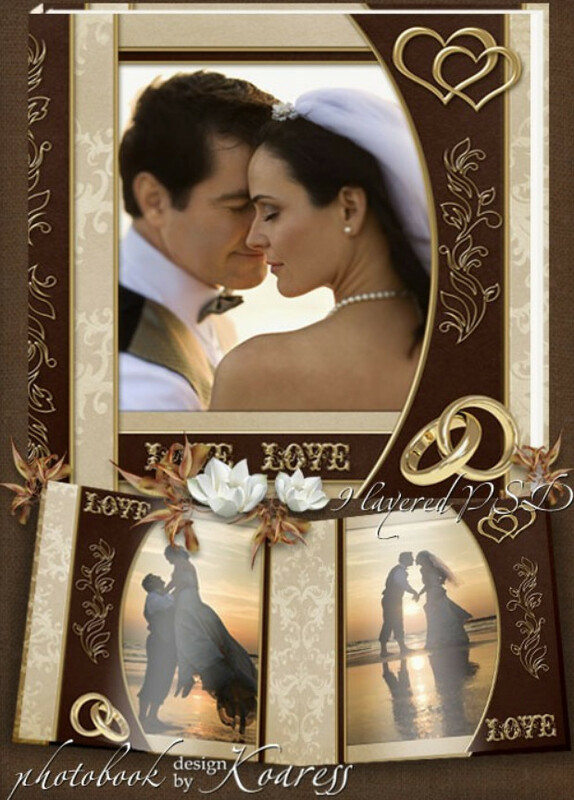 On our website you can download free romantic wedding photobook, which is made in shades of brown along with gold decor. 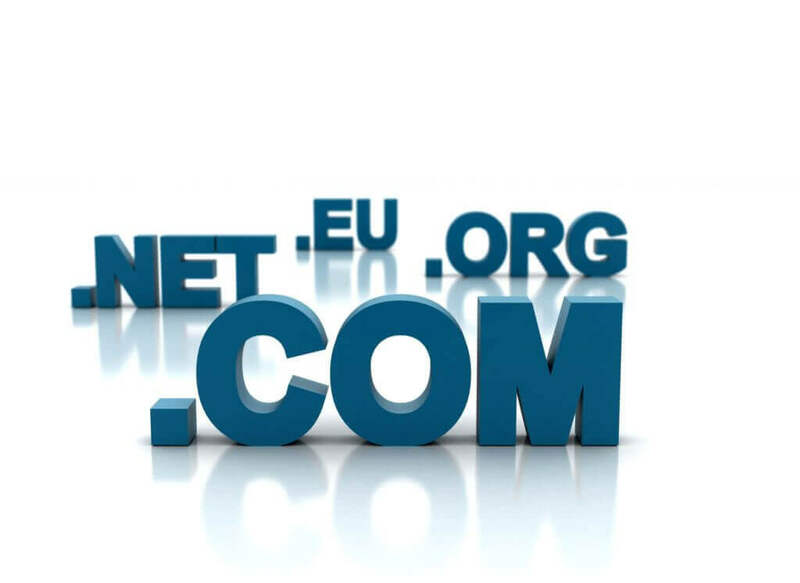 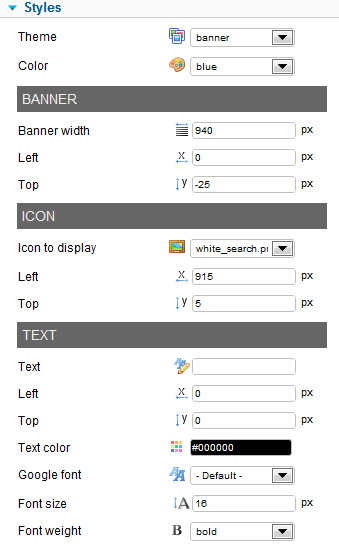 Presented in the form of 9 file format PSD in the resolution of 7087 – 3543 pixels at 300 dpi, weighs archive 539,96 MB. 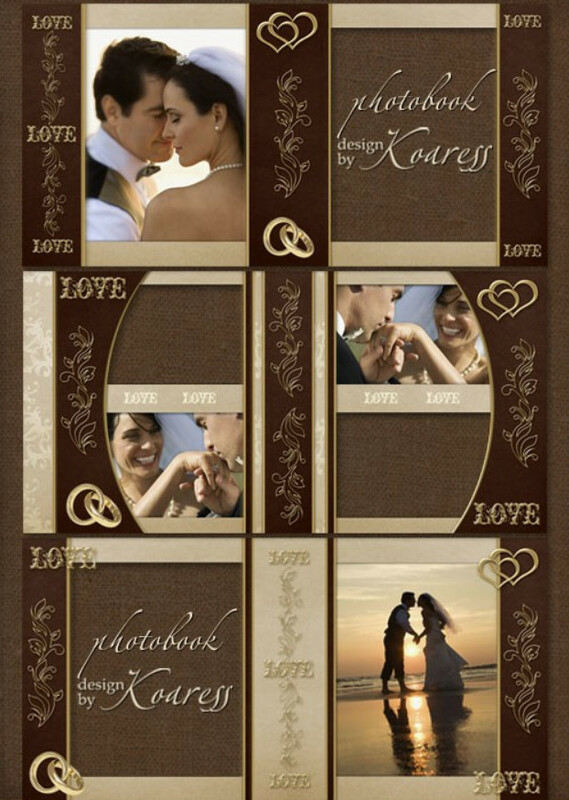 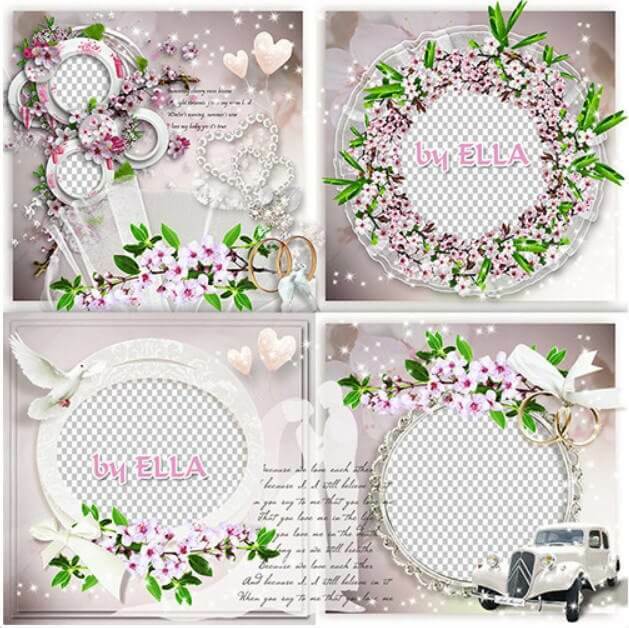 Excellent design and beautiful design of this photo album will allow you to create a full book for future viewing.